This article bridges the gap between the perception and reality of American Indian tribal nation citizenship. 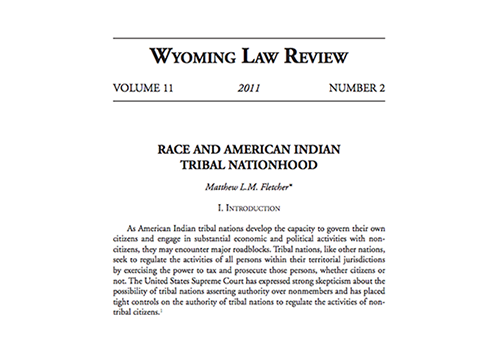 The United States and federal Indian law encouraged, and in many instances mandated, Indian nations to adopt race-based tribal citizenship criteria. Even in the rare circumstance where an Indian nation chose for itself whether or not to adopt a race-based citizenship rule, the nation invariably did, with the belief and expectationthat Indian nations had no choice. In fact, Indian nations do have a choice.